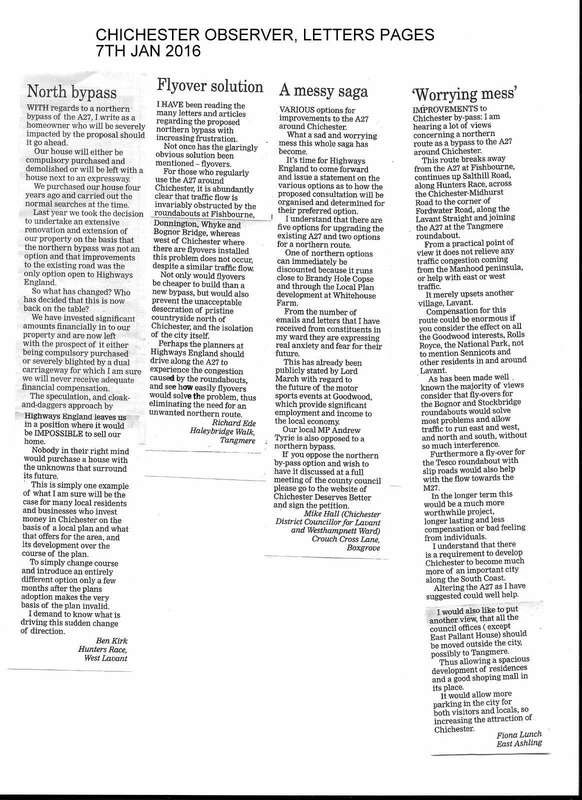 01.12.16 Richard Williamson article in Littlehampton Gazette: "what will be carved up if new Arundel bypass is given the go-ahead"
"Record turnout at Binsted's Strawberry Fair under Threat from Bypass"
24.07.16 SpiritFM article: "2000 against Arundel Bypass"
21.04.2016 West Sussex Gazette letter: "Don't just focus on one main road"
23.03.16 Andrew Tyrie MP asks DfT Andrew Jones MP "can you provide the cost of the planned improvements to the Arundel and Worthing sections of the A27 and the likely period over which they will be completed?" 8.3.16 ABNC Press Release on the Chichester A27 Announcement - "Now do the same for Arundel"
9.2.16 Chichester Observer article re: How neutral is Pieter Montyn, A27 special adviser to WSCC? 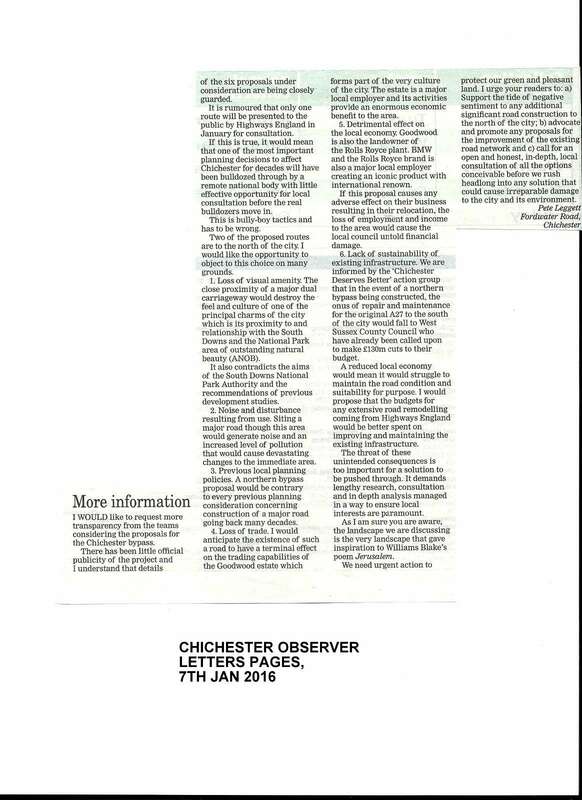 26.1.16 Bognor Observer letter: "barbarity of the northern options compared with the alternatives"
9 January 2016 Chi Obs letter: "bully-boy tactics"
8 January 2016 BBC South Today Video: How do you solve the problem on the A27?